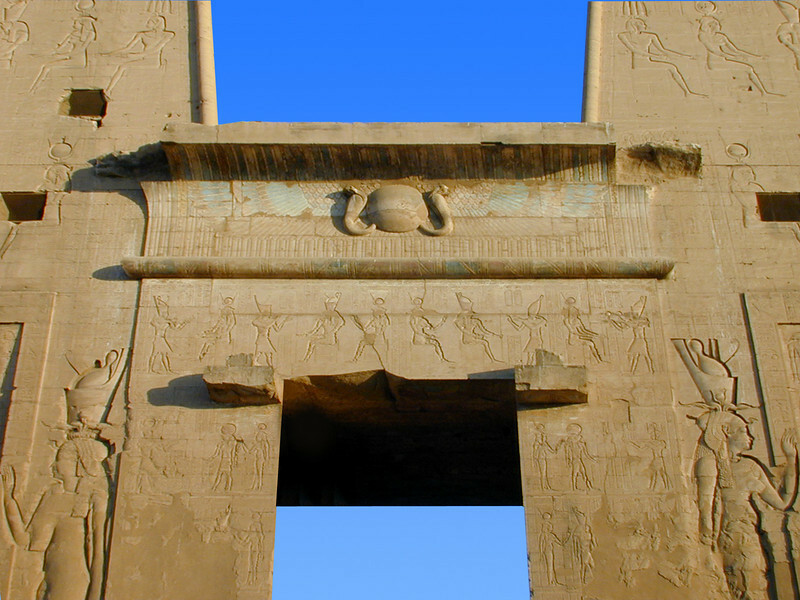 Detail of the main pylon and gateway to the Temple of Horus, Edfu. The female pharaoh depicted on either side of the entrance is Cleopatra VII (of Antony and Cleopatra fame). Note the remnants of red, white and blue paint surrounding the Uraeus at the top of the lintel; originally the entire temple exterior and interior walls would have been brightly painted in these colours.